Top To Bottom General Construction LLC was formed in the late 90’s. However, it was founded years earlier by Bob Hricko. Bob got his start simply by working on people’s homes. The work was tough and the economy was stacked against him yet he refused to give up. Working with an ugly old truck and a shiny set of tools he set the foundation for the growth and success we enjoy today. There are leaders, and then there's everyone else. At Top To Bottom Construction LLC, we take immense pride in driving the industry standards forward, focusing on efficiency, quality, and safety. You can expect your office, warehouse, or residential renovation to exceed even the highest standards. Our standards are high. So high in fact, we're in a league of our own. Whether it's an office expansion or a simple light fixture installation.  At Top To Bottom Construction LLC we strive to maintain the highest quality craftsmanship throughout the project from start to finish. You have enough to contend with. At Top to Bottom Construction LLC, compliance with local ordinance, code, and safety parameters is a priority. We handle all aspects of the permit process including architectural drawings for submittal. It's old fashioned now, but we do what we say we're going to do. Plain and simple. Our word is our bond, and that applies to our deadlines, as well. We deal with our customers the way we like to be dealt with. Honestly, and with a sense of urgency. ​​​No one ever complained that we had too much integrity. Maximizing and expanding office space does not have to be rocket science. It doesn't have to cost a fortune either. Let us demonstrate our expertise in this field. Many of our cost effective solutions provide a superior finished product and help our client's budget as well. We got our start in residential work. Truth be told we take as much pride in your home as you do. You can expect precise estimates and timelines that we like to exceed everyday no matter the size of the project. "This is what we do"
When you are building a one of a kind production line the last thing you need is to be told something is not possible. This is where we shine. When a previous contractor says it can't be done give us a call. From prototype to final assembly we can custom build and install just about anything. The word "Can't" is not in our vocabulary. Do you remember when gas stations actually washed your windshield and checked your oil? We Do. There's no reason why this level of old school service can't be applied to every industry. Anticipating your customer's needs should never go out of style. When you have a serious project that needs to be done, look no further than Top To Bottom Construction LLC, We truly strive to be leaders in commercial office design, construction, and renovation. We innovate and we deliver. In the last few decades a lot has changed – technology, governments, world economies, the materials we use in our daily lives. But, one thing remains unchanged – our dedication to doing the best work possible in our field. We keep an old fashioned attitude about work, and that's that it needs to be done when we promised. More and more, that means relying on brilliant project planning and hardworking craftsmen working in tandem.